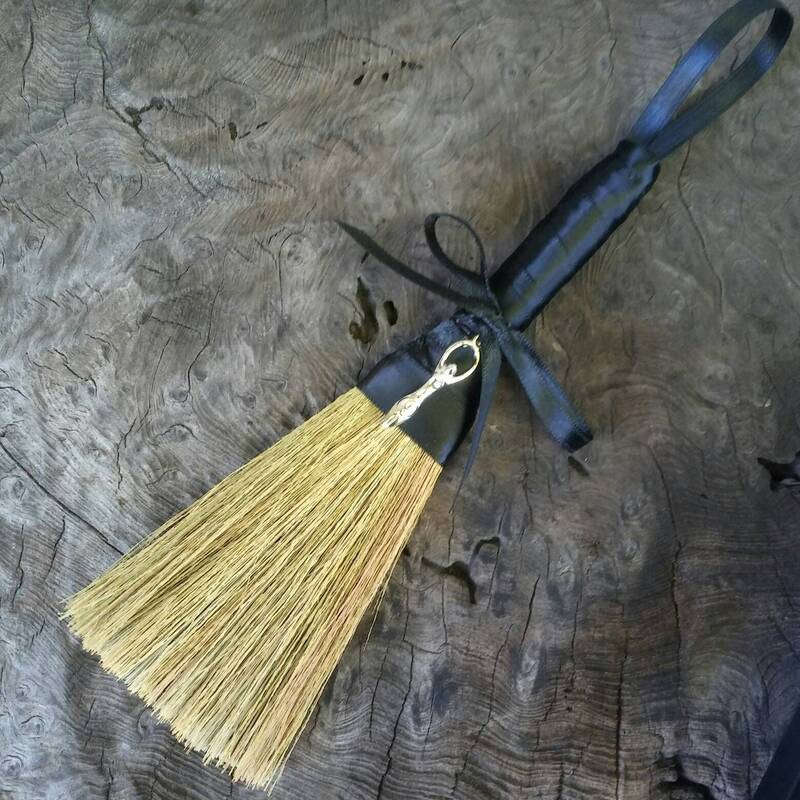 A perfect witches broom - or witches besom - for your pagan altar. 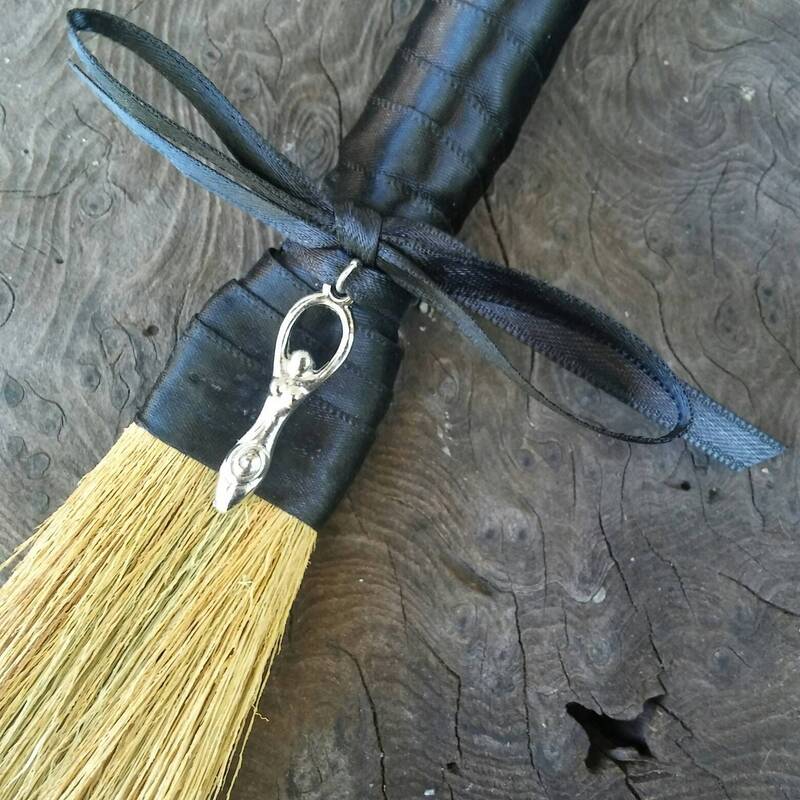 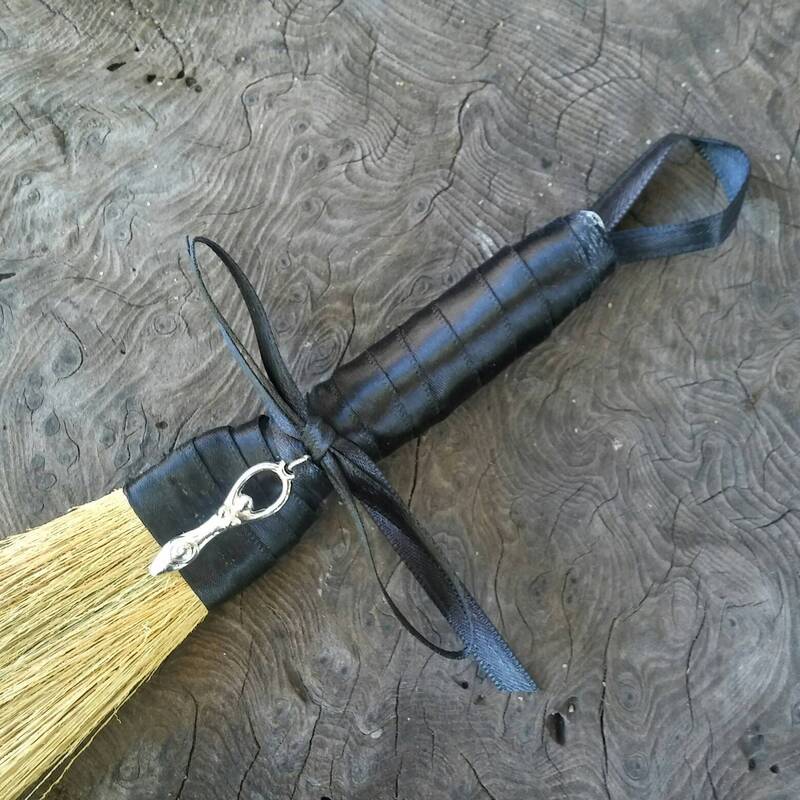 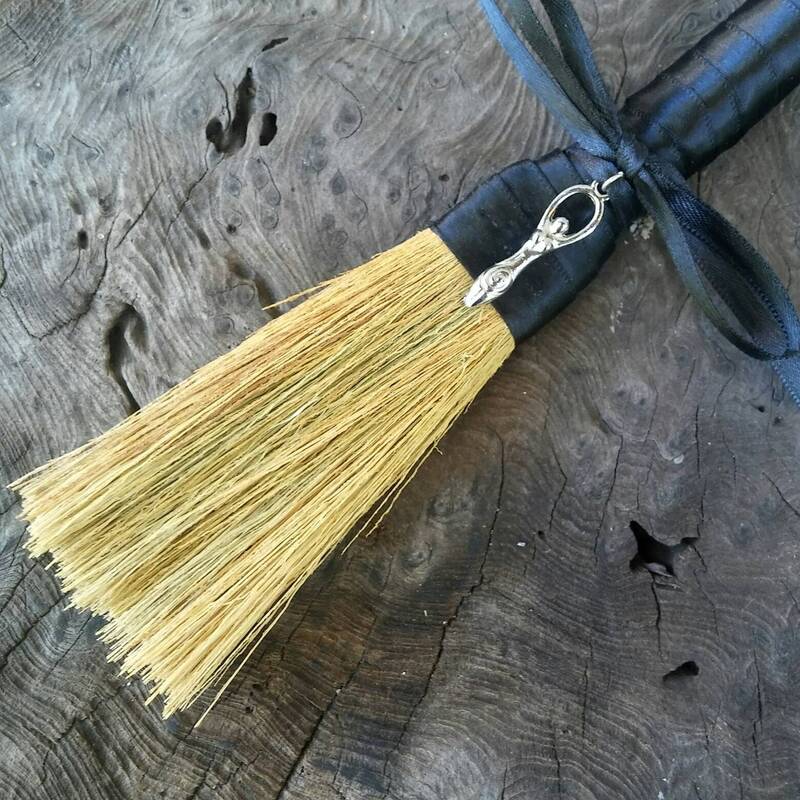 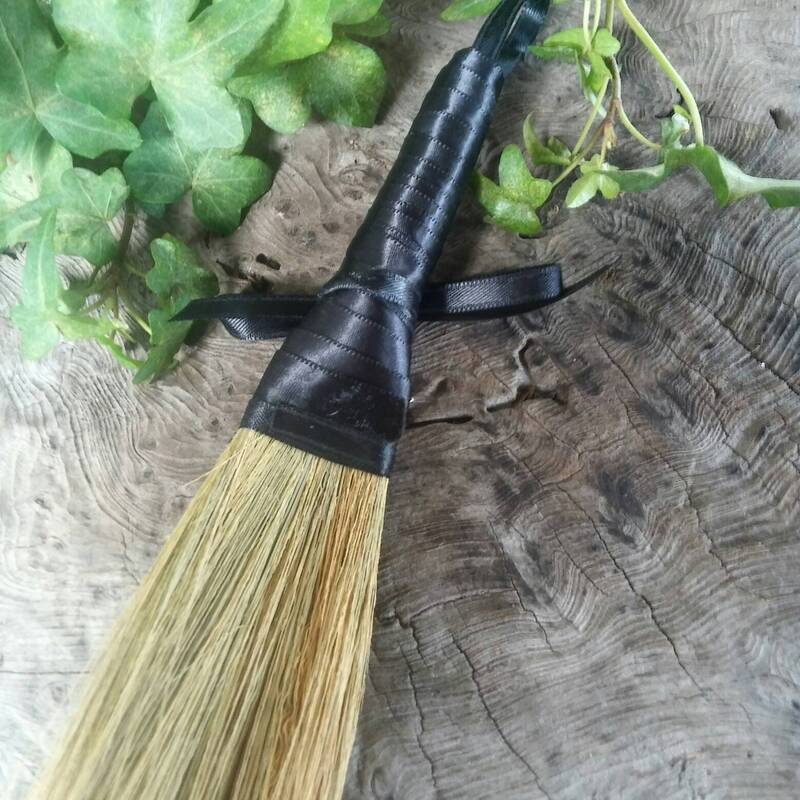 Many consecration rituals in witchcraft call for the sweeping away of negativity and evil and we have created this 8 inch altar broom - altar besom -for this very purpose, using black satin ribbon as a protective colour and a silver plated Goddess charm. 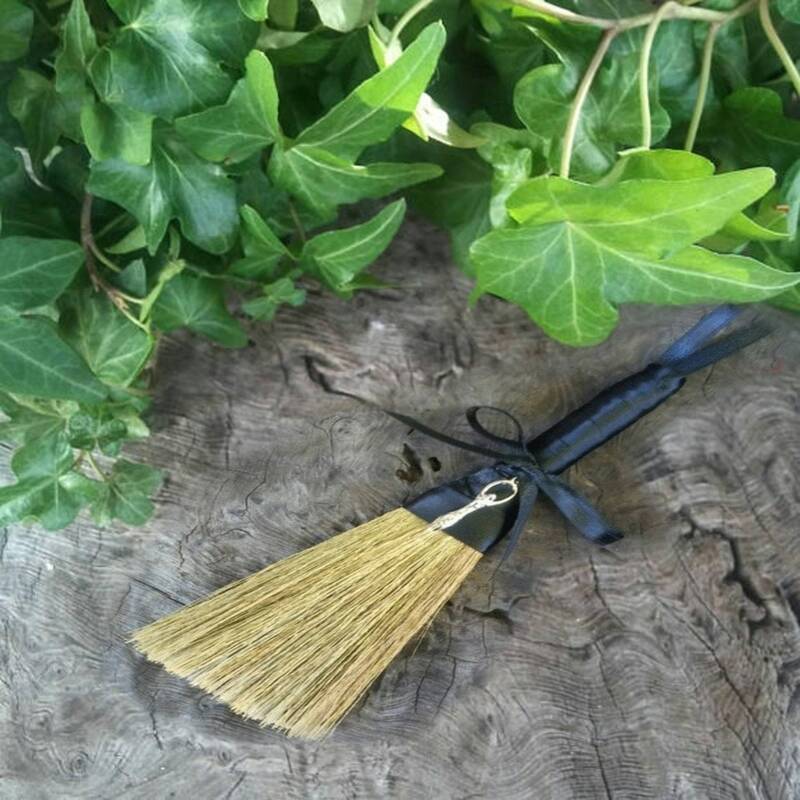 The wiccan besom is one of the most used witchcraft tools for many. 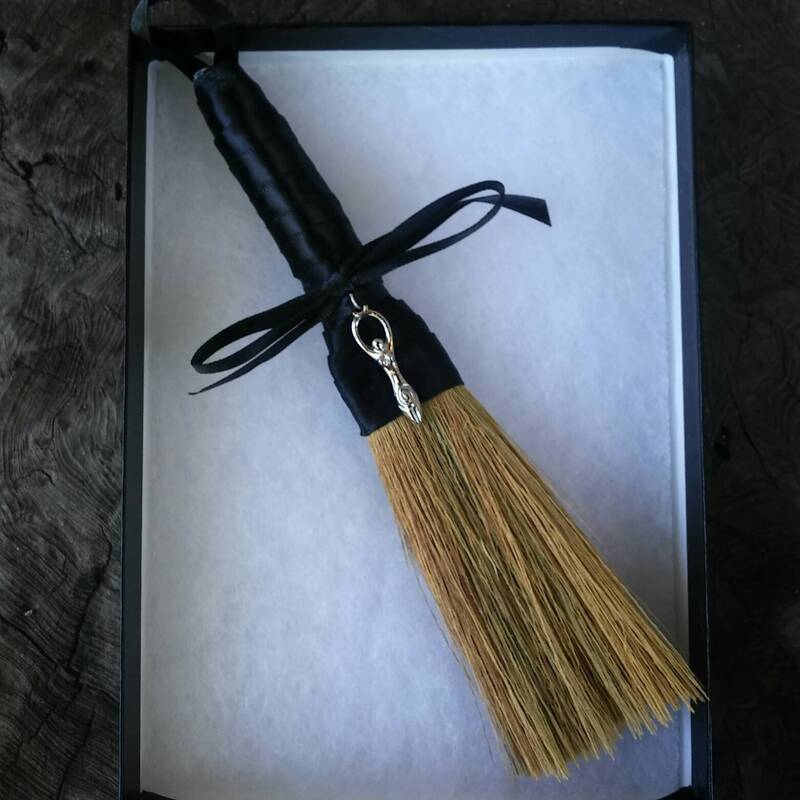 The broom - or besom - can be hung above your altar when not in use or stored in the black lidded box in comes in.